Will Halifax become Canada’s next great startup centre? Jesse Rodgers says it has all the right ingredients and a lot of momentum. Jesse is the CEO of Volta Labs in Halifax—”Halifax’s tech superhub.” Jesse was a long-time member and builder of the Waterloo startup community and the former director of the Creative Destruction Lab in Toronto and Velocity in Waterloo. 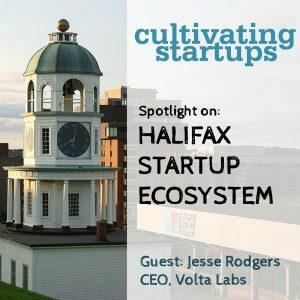 He talks here about what he has seen in Halifax that makes him excited about the city’s startup ecosystem and the role Volta will play. Before we talk to Jesse, I take a look at the 2017 Canadian federal budget from a startup community perspective, with a particular focus on the government’s venture capital and supercluster initiatives and how those funds will have an impact on Canadian startups and startup ecosystems.